Read Tammy's Story in the exciting new book by Michael E. Hrankowski, "It's Never Too Late To Become A Millionaire". 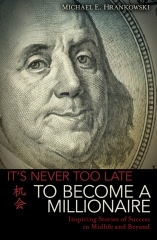 Order it today it at www.nevertoolatebook.net. You'll be thrilled with the inspiring stories of success in this outstanding new book.